Ages 10 to adults, males and females. This is adult gaming equipment so it's a party that parents and aunts and uncles enjoy too. Needs to be booked at least 1 day in advance. Available from March 2017. Which day or weekend would suit you best? the walking dead. We lead them through 4 laser tag games and they'll have time for, cake and presents. $27 ($30 for 6pm session) which includes a fruit juice based slushie drink and unlimited water for each undead. iPod. We set up and clean up. 15 minutes after your party starts we will take your players through a mission briefing explaining how the equipment works and how to outrun the zombies. We'll make our zombies pale and ghastly. 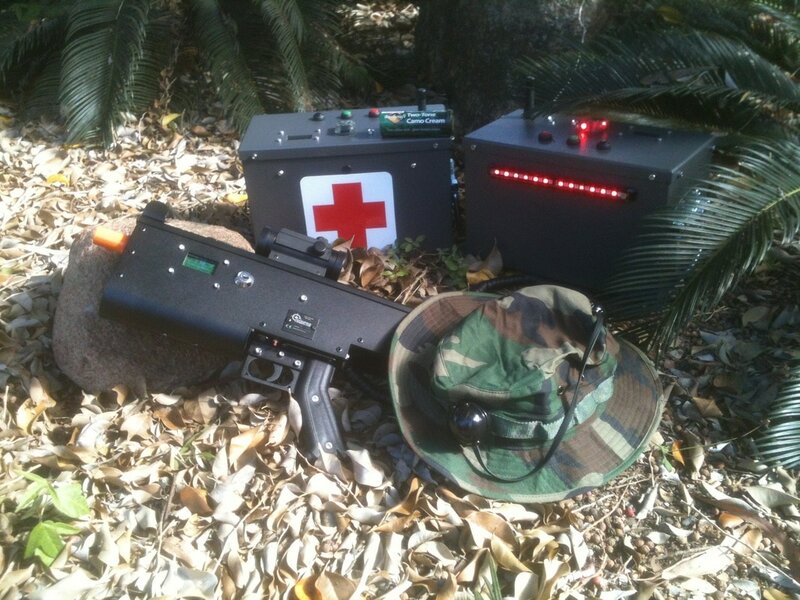 One of our most popular laser tag games with a mission objective that will determine who is the greatest team. You'll play this twice. Play 2 games where one team are zombies and the others are survivors. When survivors are shot too many times you become a zombie. Race to the barracks and police station for upgrades to increase your chances of survival. Will you make it to the evac point? To book use the online enquiry form on this page. Once the availability has been confirmed for your session you'll be required to pay a deposit. The non-refundable deposit will be $200 and the date is changeable up to one week before, based on availability. You'll pay the deposit by direct deposit into our bank account. You'll pay the balance on the day at the café in cash or by EFTPOS. In the event of bad weather you'll be in contact with us prior to the party and we'll jointly decide whether it can go ahead, be postponed or cancelled with a refund.